Eric Chiappinelli (Texas Tech) recently posted a new article on SSRN that analyzes the dental school crisis of the 1980s to draw lessons for currently struggling law schools. It is a very interesting article. Highlights and my thoughts after the jump. While readers of the blog are surely familiar with many of the issues facing law schools, I assume that most are less familiar with the dental education crisis of the 1980s. As Chiappinelli explains, an influx of federal spending (through research grants and federal student loans) encouraged the proliferation of dental schools (from 39 in 1943 to 60 in 1980). And students flocked to these dental schools, with the number of dental school students increasing from ~12,000 in 1950 to ~23,000 in 1980. However, like with law schools, darker days were ahead. Although the inflection point for law schools appears to have been the 2008 financial crisis, fluoride was the game-changer in the dentistry world. By the late 1970s, enough people had grown up drinking fluorinated water that demand for dentistry's bread and butter services--filling cavities, pulling teeth and creating dentures--flattened. Around the same time, Congress grew concerned that it was contributing to the build-up of excess dentists and dramatically pared back its financial support for dental schools. In 1981, dental schools found that their revenue had suddenly declined by one-third, but their expenses continued to steadily increase. In short, dental schools were in a crisis that appears remarkably similar to the law school crisis. Like other financially strained post-secondary education institutions, dental schools sought to balance their budgets by shifting away from tenure-track faculty and toward adjunct and other untenured faculty. Dental schools sought additional support from state governments, but state governments had their own financial troubles. Chiappinelli reports that many dental schools were able to shift some costs to students by significantly raising tuition. As a result, dental student debt increased by over 50% from 1978-1981 and doubled by 1990. However, rising debt combined with a lack of good dental jobs resulted in "a rapid and severe reduction in the number of people applying to dental school." Applicant quality, measured by their incoming credentials, dropped simultaneously. Again, echoes of the law school crisis. Eventually, 12% of all U.S. dental schools closed. While every closed school operated at a loss, Chiappinelli notes that many that were operating at a loss did not close. Clearly, finances were only part of the story. In Part IV of his article, Chiappinelli works to identify other factors that were relevant to determining whether to close a dental school and to apply those lessons to struggling law schools. Rather than finances or operational aspects of dental schools, Chiappinelli concludes that a "school's intentional focus on mission and engagement . . . are particularly important . . ." Thus, law schools should--in Chiappinelli's view--do the following: (i) "ensure that their actions are aligned with the university's mission", (ii) "engage with their university and their relevant professional and lay communities", (iii) use clinics to demonstrate that the law school is aligned and engaged with the university's mission, and (iv) hire deans who can highlight for the university that the law school's mission is aligned with the university's, including how the law school brings prestige to the larger university. I think that Chiappinelli's broadest point is clearly correct. In times of retrenchment, every enterprise needs to (re)consider its value proposition. Any law school that finds itself out-of-step with its affiliated university risks finding its support dry up. And I think the analogy from dental schools to law schools is a valid one, which is why I've also been working on a piece comparing distressed dental schools to other distressed colleges and universities. There are important lessons that can be learned. Nevertheless, there are at least two reasons to question the comparison. First, it is my sense that many universities see their law schools as a "crown jewel" of the university system. As such, law schools may simply be viewed differently than dental schools, which apparently were often (but not always) perceived to lack prestige and quality compared to the rest of the university. Second, dental schools were never profitable, "as nearly every dental school loses money from continuing operations, if for no other reason than the clinical aspects of dental education cost more than they produce in revenue." By contrast, law schools were long seen as profit centers for their universities. As such, a university might be willing to subsidize losses for a longer period of time if university officials can be convinced that the law school crisis will eventually abate. Glad to share more thoughts, but this post is already too long. It's my view that 3-4 paragraphs is the ideal blog post length. But if you're still with me, thanks for reading the whole thing. Even assuming you're right and the correct percentage is 25%, I'd like to reiterate that benefits do appear to be received in exchange for this "tax." The categories suggest that the law school is getting utility service, supplies, a building to use, etc. While it may not be paying a market rent, it's also not clearly paying over a lot of money to the university without some corresponding benefit to the law school. To me, this suggests that could strike financial exigency might strike much sooner than you seem to think. It is not clear to me that Minnesota's law school is paying the type of "bridge toll"-like overhead that you suggest. Certainly not at a 30% rate. FWIW, the linked-to pie chart also has nonsponsored revenue listed. We could see if they match, which would help us understand if this their top line revenue or the after central campus tax revenue... If there is a large chunk of revenue missing, I would concede your point. Well I count the remaining 25% as likely money going to the university but who knows really? And notice that sponsored (research grant) money is not included. The university takes a cut of that as well. In any case we don't know if this is their "after central campus tax" operating revenue or their entire top line revenue. I didn't mean to imply that data was unavailable. Only that it's a pain to locate, dissect, and then compare. I thought you might be working from data instead of from negative inference. In any case, I also don't especially like the word crisis. I use it only because that's the word that people seem to use. In any event, you can find some data on the University of Minnesota here: http://finance.umn.edu/Budget_FY2015/AcademicUnitSummaries2014.pdf. On page 24, there is a pie chart that seems to show UNM Law spends its money. This chart suggests that 51% of expenditures are for "compensation," and 25% for financial aid. "Institutional Services & Support" is pegged a 7%, utilities/rent/etc at 5%, and equipment at 4%. Based on these figures, it seems like Minnesota Law sent, at most, 16% of its revenue to main campus in 2014. Of course, I may be wrong. I didn't spend a ton of time looking for this data, nor are all the terms in the chart defined, etc. Btw, Eric makes a rather bold and, weakly sourced, contention in his paper: "Many, perhaps most, law schools now run at a break-even level or consume funds from the university." This is precisely what I think is very likely wrong. His sources for this conclusion are a single conclusory data free blog post by a leading law school scam critic and two newspaper reports that are focused entirely on the University of Minnesota. Even the MN articles suggest that they are discussing operating deficits not profitability. There is no public record of the actual financial condition of the MN law school that I am aware of that would include the revenue it has (no doubt generously) shared with the University over the past several decades. Eric also seems to minimize the role of University taxation of law schools. He sets the figure at 20% and implies that not all law school share revenue with their parents. The former is too low buy half (on average) and the latter is describes only very rare exceptions. I have, of course, no more access to data than you do, Matthew. But I can make a negative inference - surely at least one law school at a major university would have closed if the so-called "crisis" of legal education were a crisis on the order of, let's say, the crisis that hit Lehman Brothers. Downturn, yes, crisis, no. Although for the laid off staff it is obviously something that could be seen as a crisis - a recession is when your neighbor gets laid off, a depression is when you get laid off, right? The point is that the tax taken off the top by Universities serves as a kind of equity cushion - assume a persistent operating deficit paired with a university board or administration that has long been hostile to its law school. Clearly that is a setting where one would expect an effort would be made to take advantage of the downturn to propose shuttering the law school. But since the minimum requirement for that is "financial exigency" (thanks to the AAUP - the faculty union/advocacy organization that far too few law professors belong to) that would require a deficit that is so large that it has eaten through the 30% tax that the university has been taking off the top for many decades. Like bridge tolls the alleged overhead that provides has long ago been paid off and in fact that tax revenue has become a kind of cash windfall for the administration. So pretty hard to justify financial exigency in those circumstances. Thanks for engaging, LawProf. I agree with you, at least in part. Nevertheless, I'm curious on what basis you challenge the presumption that law schools are no longer profitable? Do you have any data? Since most are part of a larger university, I've found it somewhat difficult to dig up hard data on school profitability. When I have (for example, I looked at Thomas Jefferson School of Law's balance sheet), I found that they were profitable in the sense that their revenue exceeded the costs of production (excluding rent and debt service). 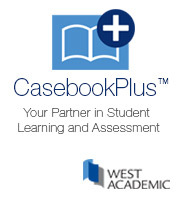 see http://www.creditslips.org/creditslips/2015/01/why-troubled-law-schools-may-remain-open.html. However, most businesses don't get to exclude their rent and debt service. Moreover, law schools do generally get something in exchange for their overhead, no? They get a building to use, HR, etc. Of course, Chiappinelli's point is that some dental schools closed--including ones affiliated with top colleges--even though they were not suffering financial exigency. And others that were in financial trouble remained open. I think this complicates the simple story that profit = prestige = schools remain open. The presumption here is that law schools are no longer profitable. I challenge that presumption. While many law schools may be running, or may have, for the last couple of years, run operating deficits that is not the same thing as running at a loss. Those deficits are ordinarily figures that are calculated after deducting the tax that universities charge for "overhead" - typically anywhere from 20-40% of top line revenue. This explains, in part, why no serious law schools have closed - because they are not suffering financial exigency. They remain income generators for their campuses and, of course, that is also a substantial reason why they achieved said "prestige." Of course law schools have been pressured to eliminate those operating deficits and that has caused considerable pain, felt more by staff and non-tenure track faculty, than law faculty per se. But most have now adjusted to the new normal, if that is what it is, and since it seems pretty clear a bottom has now been found you can expect very few radical changes from here on out. And arguably that is as it should be - there is little evidence that law schools do not do a very good job - generally - at what they are supposed to do - generate and disseminate knowledge about the law, employing established and shared academic methods for doing so. They should not and largely do not answer to the braying crowd. It seems indisputable to me that law schools raise the prestige of the parent institution more than dental schools. No one thinks a university is a bigger deal because it has a dental school, even a good dental school. Does the Harvard School of Dental Medicine (which I learned just now exists) contribute to the university's reputation as much as the law school? Further down the chain, I think this distinction retains its salience. Considering the decline in law school enrollment and the apparent decline in the prestige of the legal profession since 2008, the relationship between law school prestige and university prestige looks remarkably robust. Thank you for your comment, Professor. Evidence abounds that law schools are no longer the profit centers they once were, and have begun draining the university coffers instead. See e.g., http://www.twincities.com/2016/02/11/umn-law-school-losses-expected-to-total-16m-by-2018/ (noting that the University of Minnesota law school is expected to need an infusion of ~$16 million through 2018). And a friend who works for S&P rating university debt tells me that they have begun to ask universities about transfers to law schools to cover operating expenses. At the same time, it seems like these transfers are intended to prop up the prestige of the law schools. Just to stick to one example, presumably a law school like the University of Minnesota could admit some students who would otherwise matriculate at competitor law schools. If it admitted students with lower uGPAs and LSAT scores, it would increase revenue at the expense of prestige. That they do not seems to underline Professor Chiappinelli's point that prestige is more important than revenue. It might also reflect a longer-term bet that retaining the law school's prestige will ultimately redound to the university's benefit once the crisis abates (if it ever will). I'm not sure that law schools retain their "crown jewel" status as universally as they once did. They were law schools while they were valuable, both for revenue and reputational purposes. Increasingly law schools are seen by universities as burdens. As law schools shift their focus from producing lawyers--hopefully with a public service mission--to running undergrad legal studies programs and quickie executive LLM programs, they run the risk of losing the prestige factor that made them valuable to their host universities.